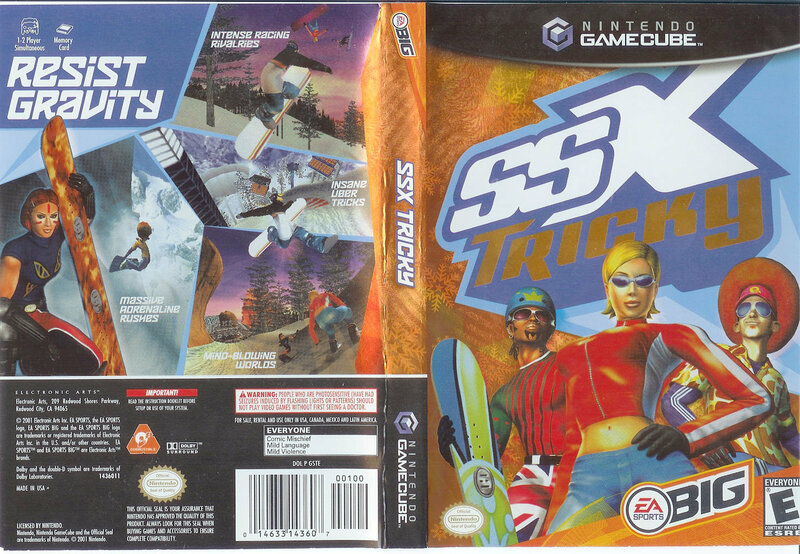 OverviewSSX Tricky is the second game in the SSX franchise and was released under the now-defunct EA Sports Big label. Tricky is the first game in the series to feature Uber Tricks. The game SSX Tricky was released in 2001 and is the second game in the SSX franchise. The game's main focus is Snowboarding through a menagerie of courses designed to not only test your skill but also your ability to pull off tricks mid race to raise your special meter. (Tricky Bar.) for a boost that increases not only speed on the ground but tricks in general. Playing through iconic levels based on actual places, from Alaska to the Elysium Alps, and not so realistic; places like the Aloha Ice Jam which is featured in other games in the SSX franchise, and finally my personal favorite, that seems to be based on a Pinball machine- Tokyo Megaplex in Japan! You will find yourself wanting more and enjoying everything this game has to offer. There's a wide variety of Characters, Boards, and outfits you can unlock throughout the game without much effort, but to unlock the best of the best when it comes to boards takes skill and time, for not only do you need to complete all the courses but also master all the tricks! Each character has their own personality and brings their own special tricks and fun to the game making the game easily re-playable and hours upon hours of fun and laughter, the tricks seeming to defy physics and even normal human ability; this game is fun for all ages. 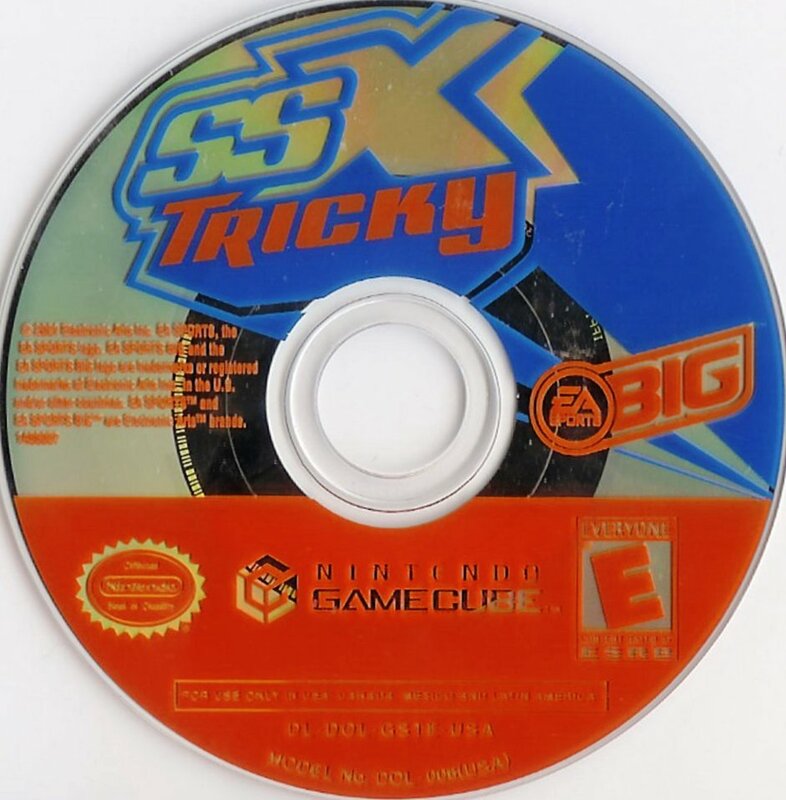 There's always something fun to do, whether it's exploring levels looking for shortcuts, or practicing big tricks in practice runs to know just what you can do on which jump, SSX Tricky truly knows how a fantasy Snowboarding game should be. The music is catchy and you'll find yourself grooving along to it most of the time, as you accumulate Uberskill tricks and fill up the T.R.I.C.K.Y. Meter to the side of the screen, you will not only gain boost but be treated to the very song that inspired the name of the game, getting knocked down can drain your boost and the song gets cut short; even the music is interactive with you! On top of everything else during the career mode (Technically named World Circuit mode.) This mode is where you'll earn all your rep, your boards, and your outfits. By performing tricks and getting in first place, you'll rise to the top from a newbie that's just learning the ropes, to a master in his own right. As you progress you will make allies and rivals depending on your actions and how well you're doing in the races. If you are prone to pushing people off their board. (A entirely legal move in this game.) You will find that some people will dislike you that you're racing against, a small rival system that really adds not only life but colour to the game's already vibrant atmosphere. I give this game a 5/5 even now, it stands a testament to what a good game can be, what a good game should be. SSX Tricky is a snowboarding game released for Playstation 2, Gamecube, and the original Xbox in 2001 and for Gameboy Advance in 2002. Published by EA Sports BIG and developed by EA Canada, this game pushed the limits of computer graphics for its era, and set a whole new standard for snowboarding games on any platform. The title was named after Run D.M.C's "It's Tricky", and is the music track used when performing an "Uber Move" (Special Move), and when filling the boost bar. The game has a large variety of unlockable characters, maps, clothing, and boards. It was recieved well by critics, reaching 85% with nearly every review. Now you can add videos, screenshots, or other images (cover scans, disc scans, etc.) for SSX Tricky to Emuparadise. Do it now!